← Waiting in Line on Black Friday? Need a Kindle Book? 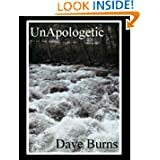 This entry was posted in Uncategorized and tagged Amazon, Black Friday, Dave Burns, Kindle, UnApologetic, Uncarvedbooks, Waiting in Line. Bookmark the permalink.